Comfortable and Stylish, Townhouse Armchair has been upholstered in a gorgeous black cotton velvet. A pleasure to sit in due to its plump cushion and supporting backrest and the rubber wood legs which hold the chair at a comfortable angle. 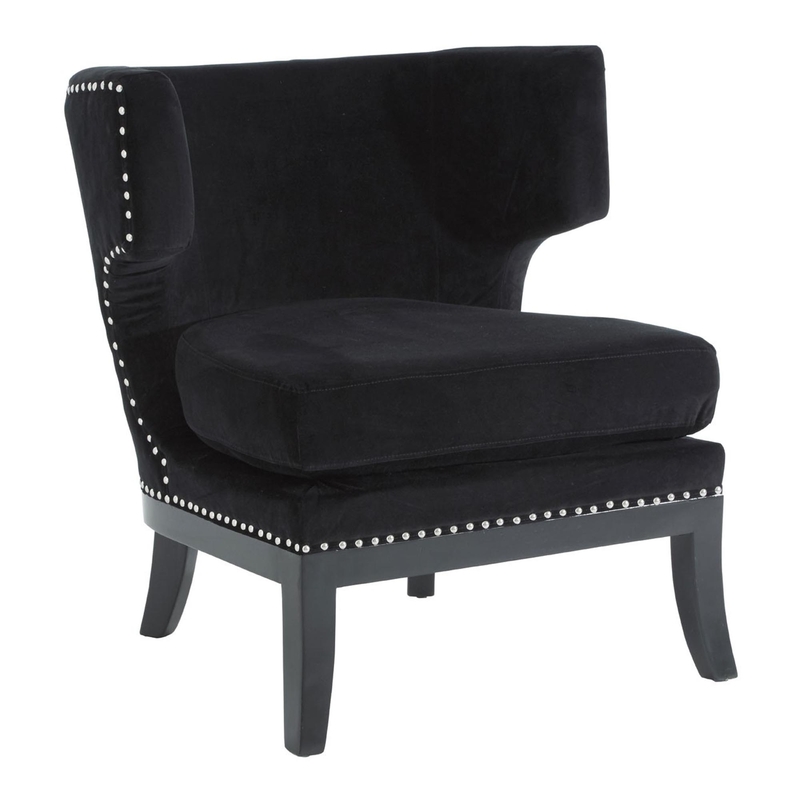 Decorated with studs to make a contrast between the black cotton velvet, this wonderful armchair would be a welcomed addition to any home.